Kate has over a decade of experience in transportation policy and implementation. 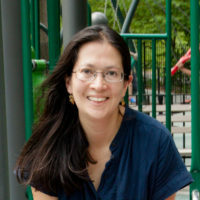 Prior to NACTO she worked at the New York City Department of Transportation where she designed and implemented Citi Bike, the nation’s largest and most heavily used bike share program. Also at NYCDOT, Kate was a lead author of Mayor de Blasio’s Vision Zero Action Plan, creating the policy framework to help bring traffic deaths in New York City to their lowest recorded levels. Kate holds a Master’s in Public Policy and Urban Planning from the Harvard Kennedy School of Government.